Disney publishing announced that 20 new books will be released before the upcoming Star Wars Episode 7 film. These books will help explain the events within the Star Wars universe that happen in between the 6th movie (Return of the Jedi) and the upcoming 7th movie (The Force Awakens) . Star Wars fans will soon uncover some major secrets — without the need for Bothan spies. Disney Publishing Worldwide and Lucasfilm announced today an ambitious publishing programming, “Journey to Star Wars: The Force Awakens,” which will lead into the highly-anticipated Star Wars: The Force Awakens, coming December 18. Journey to Star Wars: The ForceAwakens, kicking off this fall, is planned to include more than 20 titles available in print and digital, and will feature new narrative stories for middle grade and young adults as well as comics, illustrated reference, Look and Find, and sticker book formats. Stories are set to star characters old and new, and retell classic Star Wars tales from new perspectives. All titles published under Journey to Star Wars: The Force Awakenswill be canonical within the Star Wars universe, and in-continuity with the Star Wars films, animated series, new books, and Marvel comics. The global program comes as a result of a massive collaboration between Disney-Lucasfilm and its publishing partners, including Del Rey, DK, Egmont UK, Marvel, Phoenix International Publications, Inc., Studio Fun International, and Topps. “The filmmakers have a lot of surprises in store, and the hints and puzzle pieces in the publishing program will keep fans guessing until the film opens. Until then, let the anticipation — and the speculation — begin,” said Michael Siglain, director, Creative Franchise, Lucasfilm, Disney Publishing Worldwide. Novels for young adults, focusing on Luke Skywalker, Han Solo, and Princess Leia, will be published by Disney-Lucasfilm Press in North America and distributed internationally. The young adult novels have notable talent attached, including Cecil Castellucci (Boy Proof, Tin Star), Greg Rucka, New York Timesbestselling author (Detective Comics and 52), Jason Fry (The Clone Wars: Darth Maul: Shadow Conspiracy, Star Wars Insidercontributor) and New York Timesbestselling author Claudia Gray (The Firebird trilogy and Evernightseries). Some book and comic titles have been revealed, and they offer fans a fun glimpse into the possible stories within: Star Wars:Aftermath (Del Rey), Lost Stars (Disney-Lucasfilm Press), Smuggler’s Run: A Han Solo Adventure (Disney-Lucasfilm Press), The Weapon of a Jedi: A Luke Skywalker Adventure (Disney-Lucasfilm Press), Moving Target: A Princess Leia Adventure(Disney-Lucasfilm Press), Star Wars: Absolutely Everything You Need to Know (DK), Star Wars: Journey to the Force Awakens(Marvel Comics), Star Wars: Journey to the Force Awakens-C-3PO (Marvel Comics), and Star Wars: Ships of the Galaxy (Studio Fun International). Star Wars: The Force Awakens is almost here, and the journey to it looks to be amazing. 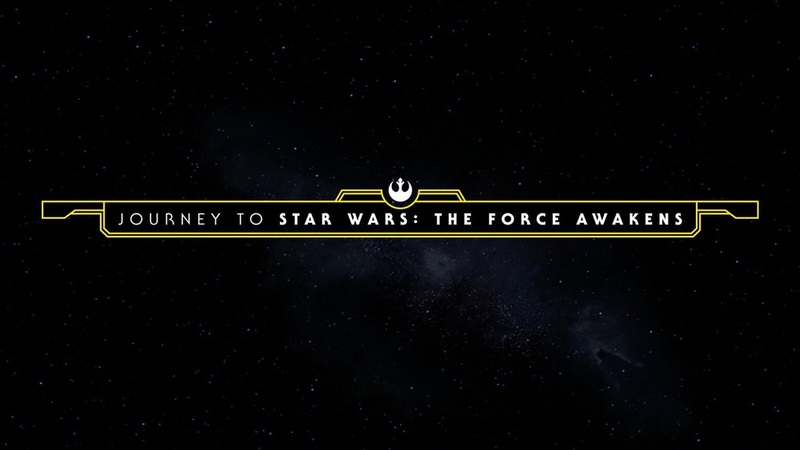 Stay tuned to StarWars.com for more on Journey to Star Wars: The Force Awakens! Looks like Disney is making it's own expanded universe to make a huge profit of the super fans and generate more hype surrounding the upcoming movie. This easily explains why Disney decided on dumping the previous expanded universe because it might clash with the stories they want to tell (sell). I am not sure if this will make the Super fans happy or just upset them more, so it might backfire but we shall see. I enjoy the Star Wars films and a few of video games but never cared about the expanded universe and I am not reader so I don't care about reading 20 books especially within a few months.